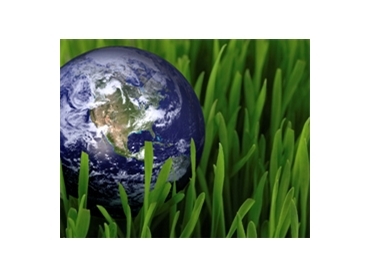 Designing for sustainability is a hot topic in today’s engineering world. Design software companies are adding tools to help engineers compare manufacturing methods and materials so they can evaluate their design's carbon footprint, executives are insisting that their operations teams adopt just-in-time (JIT) manufacturing techniques and customers are demanding new products that are eco-friendly. RedEye On Demand's commitment reaches beyond supplying environmentally friendly parts. It extends throughout our offices, manufacturing facilities and distribution systems. Direct Digital Manufacturing (DDM) is a manufacturing process which creates physical parts directly from 3D cad files using additive fabrication technology. All DDM parts are intended to be used as the final product itself with minimal post-processing, making it a viable choice for engineers looking to implement JIT manufacturing techniques. Manufacturers can create parts in as little as 3 days using RedEye's DDM services, so there's no need to carry large quantities of inventory or dispose of discontinued product. At RapidPro inc RedEye RPM Australasia, product design files are stored digitally so users can manufacture any quantity without any cost penalty - on demand. Unlike some rapid manufacturing processes, the Direct Digital Manufacturing (DDM) process uses no hazardous or dangerous materials and produces no harmful gasses. Direct Digital Manufacturing (DDM) is an eco-friendly process because there is little waste in creating the product. With traditional manufacturing methods like CNC Milling, parts are created from a block of either plastic or metal shaving off tons of material that goes to waste every year. With conventional machining of metal parts, energy is used to smelt metal into ingots, which become billet materials. These billet materials are then machined, removing a great deal of the material to produce the final part. In contrast, Direct Digital Manufacturing (DDM) parts are built in layers melting plastic and applying it through very small outlets not much wider than a human hair. This layer-by-layer application uses only the amount of plastic required to make the part, so there is only an insignificant amount of wasted building material in the process. A sparse fill option is also available to manufacturers who want to further reduce the amount of plastic being used to create their parts. Parts can be built to a variety of fill levels. Finally, limited waste enhances energy efficiency because energy is not used to transport or dispose of wasted materials. When manufacturers eliminate machining, they also discard the use of petroleum-based cooling fluids not used in DDM.